Toronto’s tech sector is growing fast. And MaRS is growing with it. Today, we announced that, in partnership with the University of Toronto, MaRS is expanding its footprint to a new innovation centre currently under construction on the lakeshore. 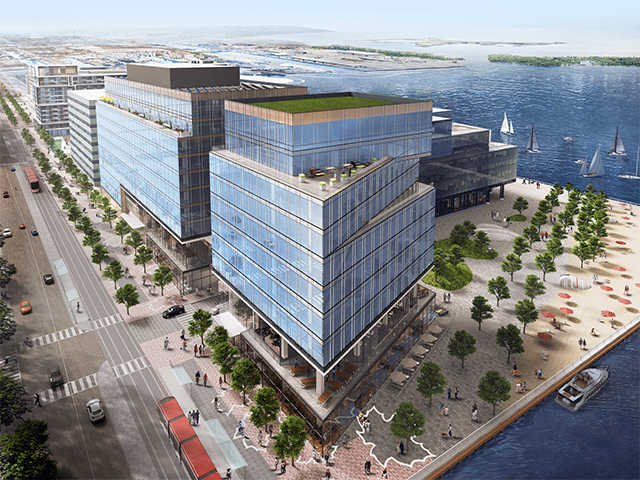 The 400,000-square-foot Waterfront Innovation Centre is planned to open in 2021 with space for around 3,000 tech workers. MaRS has signed a deal to create a hub where fast-growing Canadian ventures can work alongside corporate partners. Initially, MaRS plans to lease 24,000 square feet of space with an option to double this in the future. This new innovation centre will provide vital space for Canadian ventures facing Toronto’s tough real estate market — one of the growing pains associated with the city’s rise as a global tech hub. In the last 18 months, Toronto has been on a winning streak and has created more tech jobs than the San Francisco Bay area, Seattle and Washington, D.C. combined last year and passed New York in a ranking of “talent markets.” This month, in a sign of the city’s growing profile, Uber and Microsoft announced they were separately pouring hundreds of millions of dollars into building new engineering facilities here. They join a list of major tech companies investing in the city that includes LG, Samsung, NVIDIA and Salesforce. There has also been a string of blockbuster raises by Toronto-based ventures such as Ritual, Rubikloud, ecobee and Highland Therapeutics, and, across the board, the average value for early-stage raises is up 18 per cent over the previous five-year average. Scaling ventures flush with cash, and corporates moving to the city and hunting for space have combined to create one of the tightest commercial real estate markets in the world. At MaRS we are seeing the effects. When we opened our West Tower two years ago, it doubled MaRS’ size to become the largest urban innovation centre in North America. Despite this scale, the MaRS Centre is consistently fully leased and there is a wait list for companies to move into the building. So, it’s vital that we create more affordable space for ventures. But, as an ecosystem, we have to be strategic if we’re to fully capitalize on the momentum building in Toronto. Companies need more than just office space — they need access to sources of globally connected capital, expertise in entering foreign markets, and help to attract and retain the best engineers and business leaders. MaRS’ waterfront expansion aims to connect all of these dots. The waterfront centre will be more than just a new building — it will be the heart of a new innovation community that is emerging on the lakeshore. It is close to Quayside, where Alphabet’s Sidewalk Labs is planning a smart neighbourhood that incorporates technologies like self-driving cars and buildings that sense the weather. 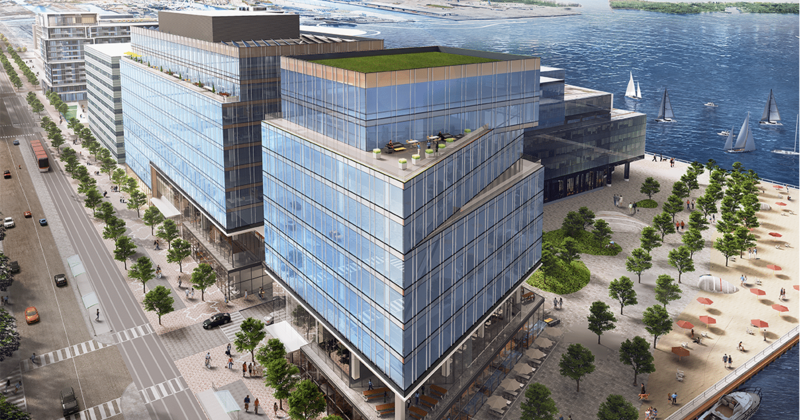 And it is near Daniels Waterfront, a mixed-use building that will house Artscape, George Brown College and OCAD University, among other key tenants. I believe that MaRS has a major role to play in this new innovation ecosystem. Together with our partners at the University of Toronto, we can use our collaborative model of innovation to put made-in-Canada ventures on the global stage. To get more details about the expansion, see more in The Globe and Mail.